Hi Bird and Bean readers…. 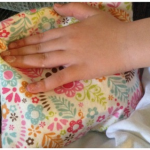 It’s Emily again with another fun and easy sewing pattern. 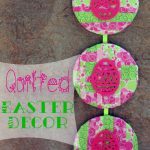 Today I’ve got a fun way to add detail to any pattern. 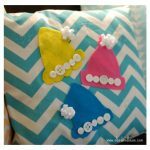 This works best with knit, but you could use any fabric that doesn’t fray easily. 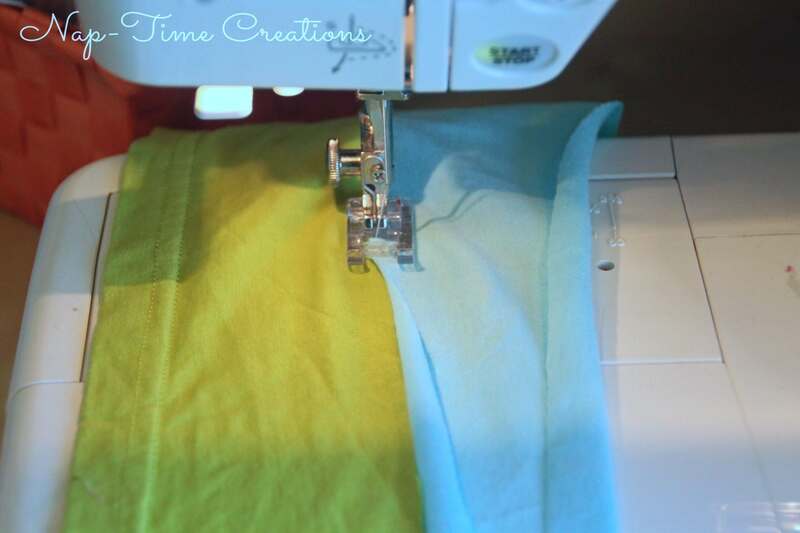 This DIY striped fabric uses old t-shirts to create new and more stripey fabric! 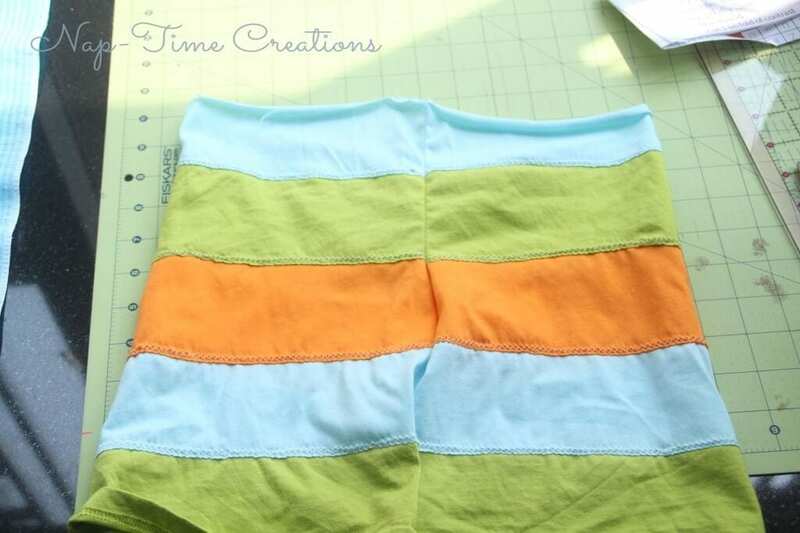 You can see the finished product in these shorts I made for my son’s summer Pjs… Cute right? And they come together really easy! 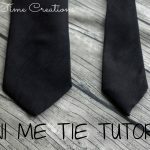 You need to start with fabric.. three colors works best. 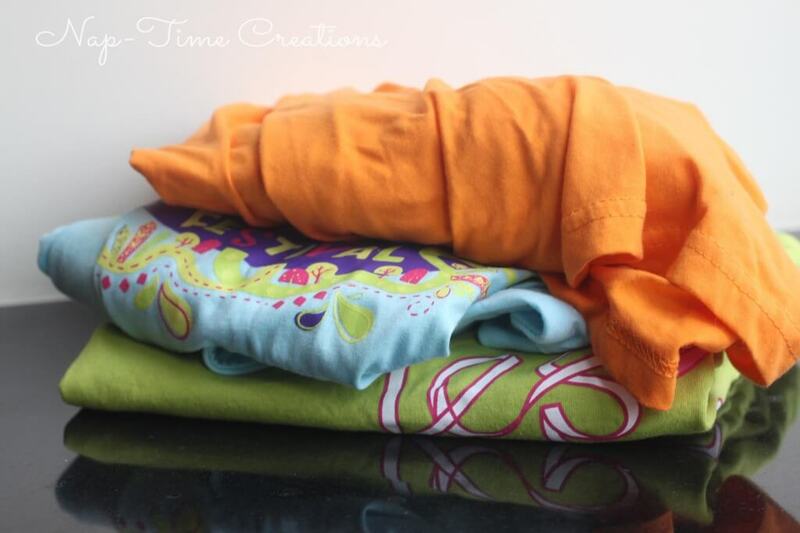 You can use scraps or old t-shirts. You also need to decide what you are making. 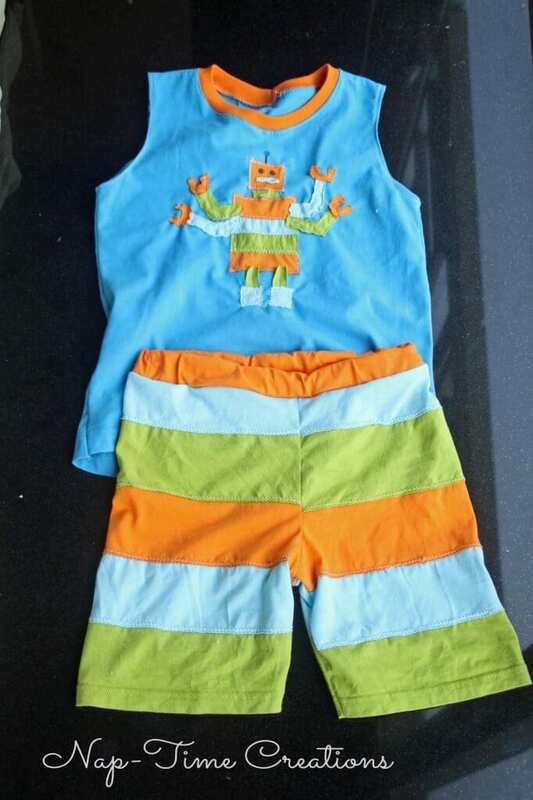 A simple t-shirt pattern or shorts pattern would work best… If you need free patterns I’ve got a 18-6T Raglan shirt pattern thats free, and also this Shorts pattern for free. 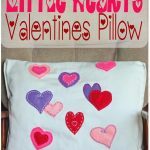 You can also check out my two free pattern round ups 20+ free kids patterns for Summer and 20+ free kids patterns for Winter. 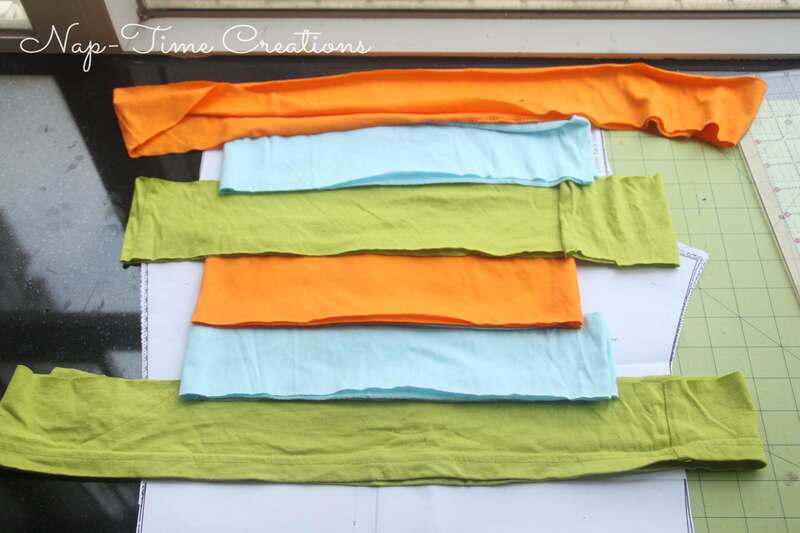 Cut the shirts into 3″ strips of fabric. I used the bottom of the shirts up to the logo, then stopped. 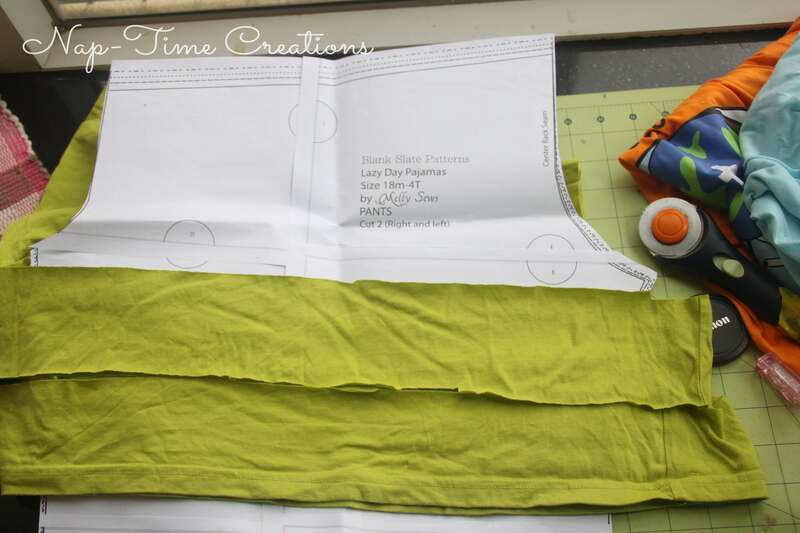 I’m using one of my favorite Pj patterns from Blank Slate patterns…at this point you want to lay a few stripes on the pattern to estimate how many you will need. I used an original t-shirt hem for the bottom of the shorts, so I didn’t make the fabric quite as long. here’s all my colors, lined up to estimate. They are all a circle, so when cut they will be long enough to cover the pattern. 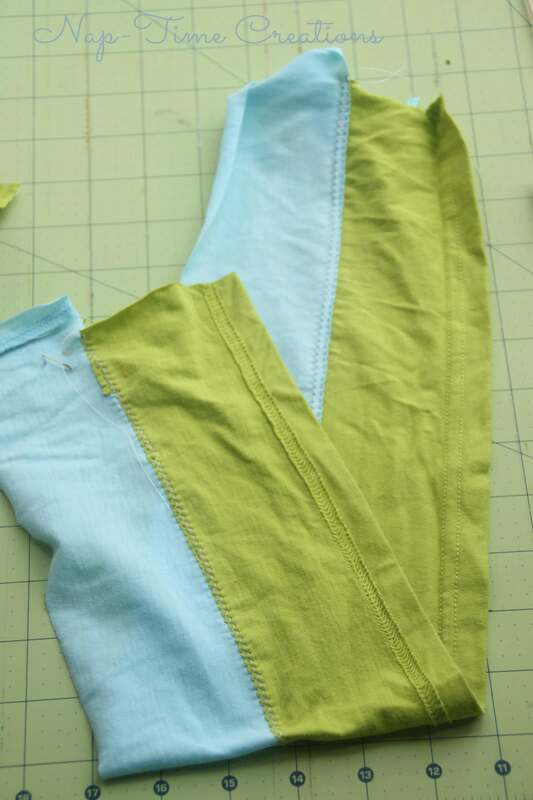 From the bottom up overlap the fabric by 1/4″ and sew with a zig zag a long the edge. Here are the first two pieces connected. Wrong side, and right side. 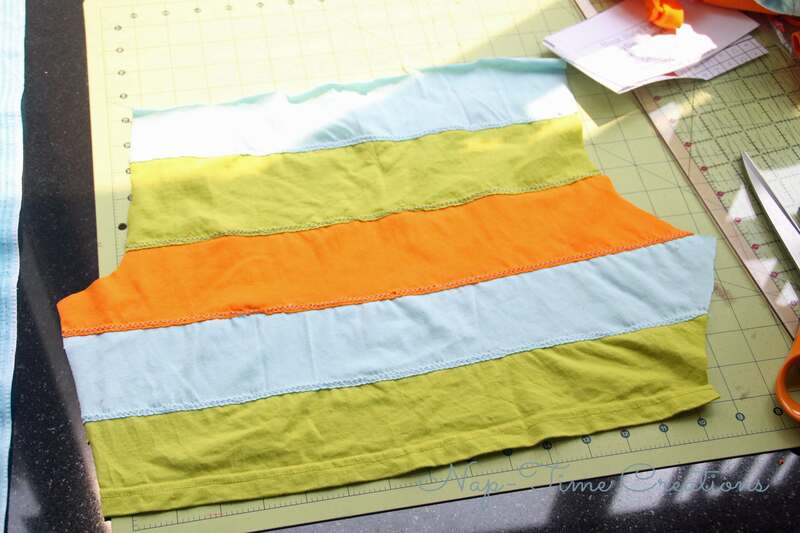 Keep working your way up, making sure the entire pattern piece can be covered by your new DIY stripes fabric. 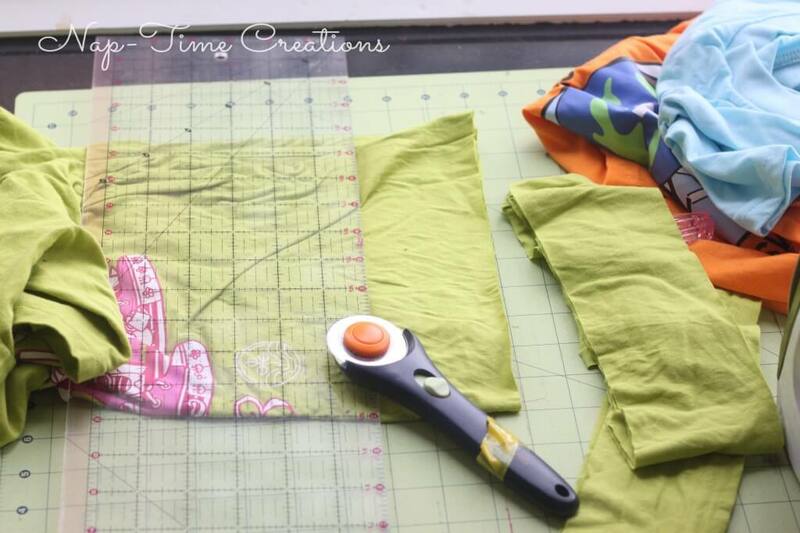 When your piece is the right height, lay the pattern piece ON TOP of the fabric, and cut it out. Repeat for the other leg piece. 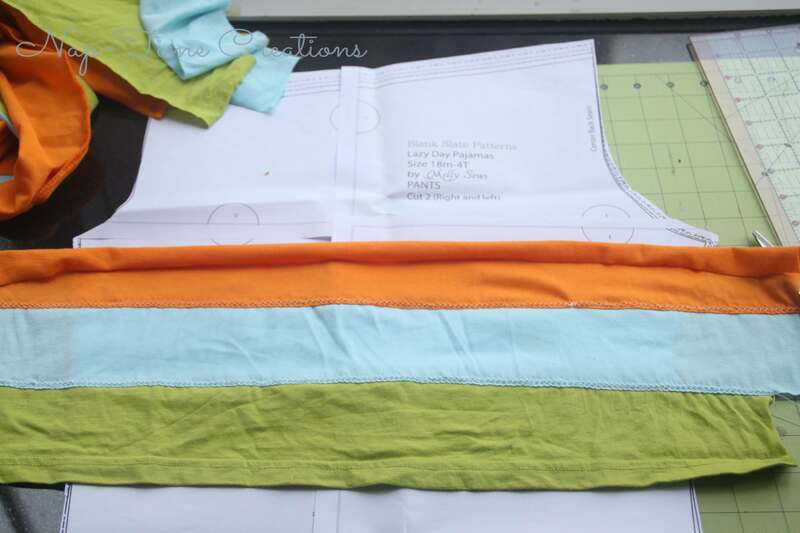 Sew the pattern together as directed and enjoy your new fun stripey shirt or shorts! Emily’s a Jesus loving mother and wife who currently lives in Hong Kong. They live in a small apartment in a big city and they enjoy the busy pace of life. Her two boys keep her hopping, and she also loves sitting at her sewing machine for long periods of time and deep conversations over cups of coffee with friends. 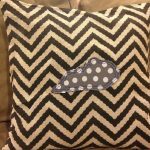 Her blog, Nap-Time Creations, is about life, sewing, crafts and a recipe here or there. Connect with Emily. You’ll be so glad you did. You can check out Emily’s other posts here.